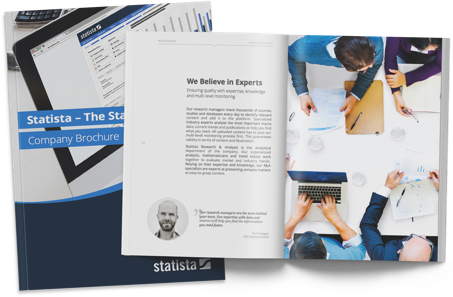 Within just a few years, Statista managed to establish itself as a leading provider of market and consumer data. Over 600 visionaries, experts and doers continuously reinvent Statista, thereby constantly developing successful new products and business models. We believe that facts can inspire great changes and brilliant ideas for our world. We are the fact destination. Our video tells you why. In July 2018 we hoisted the Statista flag on the roof of our corporate building, the Brahms‑Kontor. Statista Research & Analysis is a combined provider of market research as well as research and analysis services. We help corporate customers collect and prepare market, customer and competitive information. 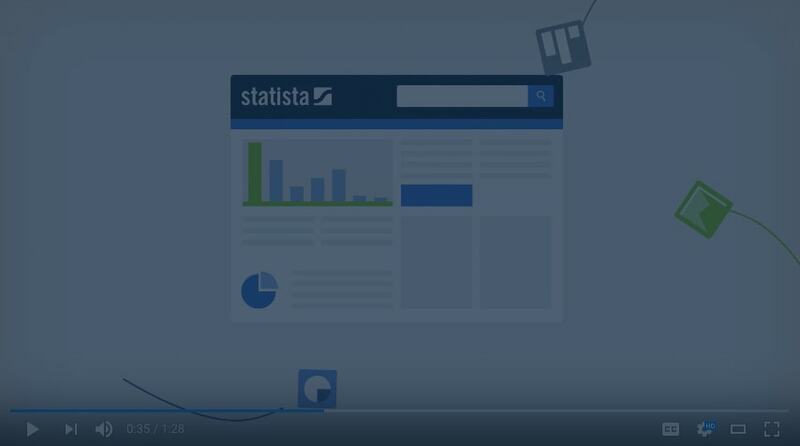 Statista Content & Design sees itself as a research and information design agency. We create customized infographics, videos, presentations and publications in the corporate design of our customers. ecommerceDB.com is the starting point for market analyses, benchmarking and lead generation in the eCommerce sector. The database provides insights into detailed revenue information of 10,000 online shops worldwide. The Global Consumer Survey allows analyses of consumer behavior and media usage in the on- and offline world based on the data of 400,000 consumers from 46 countries, who were surveyed about 50 topics and 5,000 brands. Our Market Outlooks provide market sizes, forecasts and other indicators for the digital economy, key consumer markets and relevant automotive markets for up to 150 countries. The combination of the pioneering spirit of a start-up with the stability of an established company makes Statista an exceptional employer, which walks unconventional and innovative paths. We prefer fast decision-making, flat hierarchies and a company culture based around learning by doing – all this makes us more successful than ever. If you would like to be a part of Statista’s success history, love challenges and have a passion for data, then Statista is the right choice for you. Statista’s account activation process meets the highest security requirements. All of our customers’ payment and contact details are transmitted using SSL encryption. Statista’s technical payment processing is carried out by Stripe Payments Europe Ltd. In addition to the maximum degree of security, we also offer our customers a payment process which is as convenient as possible. All services provided by Statista can be paid for via credit card and also via invoice. Data protection and transparency are important to us. All stored individual data is anonymized and encrypted. More information about data protection can be found in our Imprint. Feel free to contact support@statista.com or eu.support@statista.com (Europe support) for suggestions and criticism.